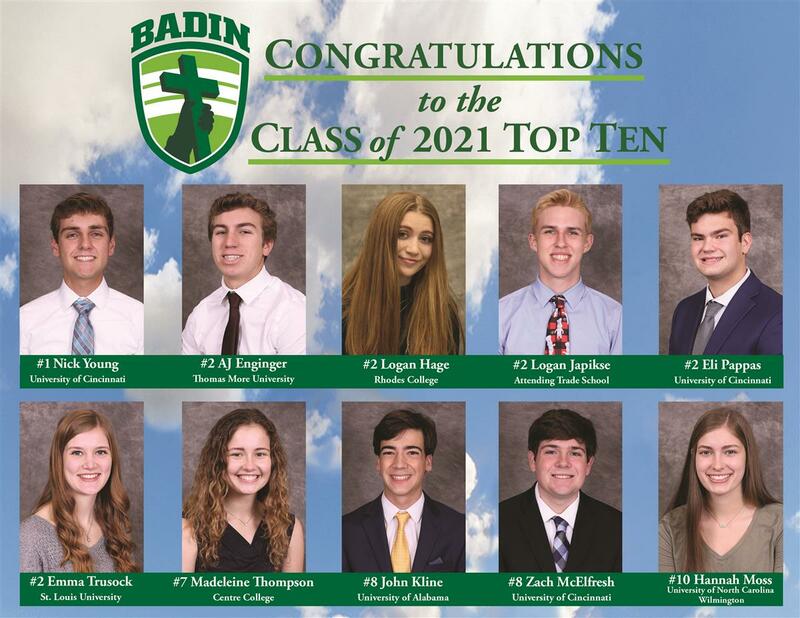 Badin High School is very proud to offer our students the opportunity to take Advanced Placement classes at our school. 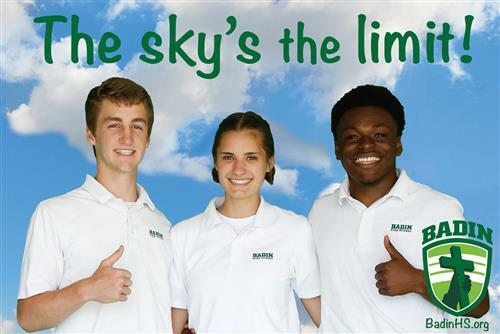 Badin High School currently offers eleven AP courses for our junior and senior level students. Students who sign up for AP courses have the opportunity to experience a college level course while still in high school. It is the chance to put into practice the skills and attributes that will lead to success in college. One primary benefit is the opportunity for students to earn college level credit based on the score they receive on the AP test taken in May of each school year. In this area it is important for parents and students to be well informed regarding the individual criteria used by colleges and universities when it comes to awarding advance credit. Each college and university uses a different standard. In fact, various colleges within the same university can have a different minimum score requirement to earn credit. For example, the college of engineering at Ohio State may have one standard and the college of Education another. Students and parents are urged to research and consider this information carefully when planning and pursuing AP coursework and then applying to college in the fall of their senior year. The second, and most important benefit, is the opportunity to take a challenging and rigorous class while still in high school. To be successful, students quickly understand the outside work requirement is not an option. Being fully prepared for class means students will be doing a lot of reading and other work outside of class, in order to fully participate and engage in the learning during class time. This is the same recipe for success students will need to follow in college. And finally, our AP teachers, while teaching college level course work, are also high school teachers. They truly have a passion for the subject and want all their students to be successful. 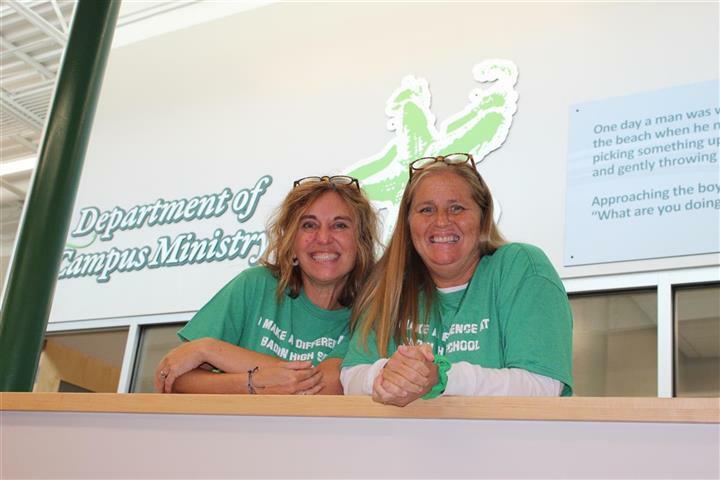 They work with students and provide a supportive and rigorous classroom environment where students can rise to meet the challenge of Advanced Placement course work. ATTENDANCE POLICY for all classes. AP Biology is the equivalent to an introductory college level course for potential biology majors. The curriculum demands highly motivated students who are willing to commit a large amount of time and effort. The contract (found HERE) is intended to explain the course and the requirements of the students. AP Biology is a year long course. If you would like to see a full course description and syllabus, you can request one by seeing or emailing Mrs. Breetz or visit in room 206. Student will be required to take the AP exam in May at their own expense. The cost is approximately $89.00. There is also a $25.00 fee for laboratory materials, which will be charged to the student’s FACTs account. Through studio practice, application of design concepts and informed decision making, these students will assemble a body of artwork that demonstrates a high level of quality and growth over time of content, technique, and process. Students will investigate all three parts of their portfolios as required by the College Board for AP Studio Art: 2D Design which are Quality (5 works), Concentration (12 works), and Breadth (12 works). Students will begin working on their portfolios over the summer prior to the commencement of this course. Students are expected to work a great deal outside of class and meet all deadlines. Students will be expected to take quality photographs, including titles, media and dimensions of their art work (updated in an excel document) on a flash drive and to keep this flash drive updated. Students considering this course should visit the AP website to look at student portfolio examples and get more details as to the requirements of the course. Students will be expected to purchase separate art supplies and materials to use outside of class. Art III is the pre-requisite for this course. Students must show the AP Art 2-D Design Teacher their portfolio and sign a contract before signing up for this course. There will be summer assignments prior to the AP academic year. There are no prerequisite courses for AP English Language and Composition. Students should be able to read and comprehend college-level texts and apply conventions of Standard Written English in their writing. 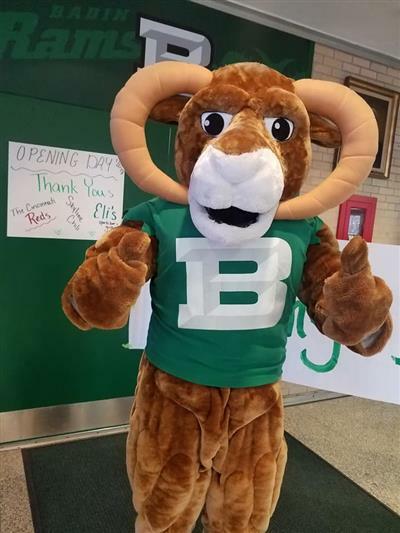 The Advanced Placement [AP] English Literature and Composition course is open to seniors at Badin. In this course, students will be required to do the work of a college freshman. Students will closely read a variety of literary genres, dating from ancient Greece to contemporary times, and write several literary analyses. Students will also write a comprehensive research paper on an approved topic. Help students grow in their knowledge and love of literature and their regard for the people who create it. Teach students to read, write, and discuss works within and without the evolving literary canon with precision, sensitivity, energy, and imagination. Encourage students to develop a deep and abiding resonance with some literary texts. Allow students to shape their own values and preferences with respect to both the style and substance of others. The curriculum is built around these topic areas and covered in the listed sequence. An important component of the course is in-class discussion and debate over political issues. Students learn to articulate a point of view and to defend it with evidence-based reasoning. This discussion and debate is interspersed throughout the curriculum, providing regular opportunities for students to learn not just about government's parts and their functions, but to reflect and opine on the values that do, or should, underpin our system. AP Spanish Language and Culture is equivalent to an introductory college level course. The curriculum demands highly motivated students who are willing to put forth effort in all areas of language acquisition. Students will be required to speak Spanish during class as well as be encouraged to use Spanish outside of the classroom. The objective of the course is to develop productive abilities in Spanish. Students are required to speak, read, write and listen in Spanish from day one. Our goal as a class is to develop and refine these communication skills in order to be able to communicate with anyone from the Spanish speaking world. Students will be required to take the Spanish Language and Culture AP exam in May. The cost is approximately $90.00. This course will introduce students to the creative aspects of programming, abstractions, algorithms, large data sets, the Internet, cybersecurity concerns, and computing impacts. AP Computer Science Principles gives students the opportunity to use technology to address real-world problems and build relevant solutions. Together, these aspects of the course make up a rigorous and rich curriculum that aims to broaden participation in computer science. Upon completion, students will have a well-developed understanding of the seven Big Ideas of Computer Science and their impact on our daily lives, and a solid foundation in Computation Thinking Practices. Students will be required to take the AP Computer Science Principles exam in May. The cost is approximately $90.00. AP Calculus is equivalent to a rigorous college level calculus course for STEM (Science, Technology, Engineering and Math) majors. The curriculum demands mature, intelligent, well prepared and very strong highly motivated students. Students must have a strong work ethic, and be willing to commit a large amount of time and effort, and to make calculus a major priority. AP Calculus is a year-long course. The entire AP Calculus AB curriculum, as described on the AP website, will be taught. Students are expected to work a great deal outside of class. Students can benefit a great deal working in productive study groups, and working with online calculus resources. Falling behind in the course can compound itself very quickly. Students find it very difficult to make up lost ground. Even students who have been very successful to date generally need to make adjustments to their studying approaches in order to deal with the demands of calculus. Students will be required to take the AP Calculus exam in May. The cost is approximately $90.00. Not all schools, and not all departments, treat AP credits the same way. Some departments, particularly engineering, physics, and math departments, do not give credit and placement for AP Calculus. Some give credit but require the student to retake the course in college, some give credit and allow the student to be placed in the course following Calculus. College credit and/or placement is certainly not the only benefit or factor to be considered in deciding which AP classes to take. However, if it is important to you, you should contact the schools and departments you expect to be considering to clarify their rules. AP Statistics is equivalent to a rigorous college level statistics course appropriate for a broad variety of majors. The curriculum demands mature, intelligent, well prepared and very strong highly motivated students. Students must have a strong work ethic, and be willing to commit a large amount of time and effort, and to make statistics a major priority. Strong verbal and reading skills are also essential. AP Statistics is a year-long course. The entire AP Statistics curriculum, as described on the AP website, will be taught. Students are expected to work a great deal outside of class. Students can benefit a great deal working in productive study groups, and working with online statistics resources. Falling behind in the course can compound itself very quickly. Students find it very difficult to make up lost ground. Even math students who have been very successful to date generally need to make adjustments to their studying approaches because statistics is much more conceptual and verbal than the math courses previously experienced. Students will be required to take the AP Statistics exam in May. The cost is approximately $90.00. AP Statistics should be of value to students in a broad variety of majors. Data analysis, estimation and hypothesis testing are of increasing importance in many fields. Technology and globalization among other factors have made statistics the fastest growing field in mathematics. AP Physics II is equivalent to a rigorous college level calculus based mechanics course for engineering and physics majors. The curriculum demands mature, intelligent, well prepared and very strong highly motivated students. Students must have a strong work ethic, and be willing to commit a large amount of time and effort, and to make Physics II a major priority. AP Physics II is a year-long course. The entire AP Physics II curriculum, as described on the AP website, will be taught. Students are expected to work a great deal outside of class. Students can benefit a great deal working in productive study groups, and working with online Physics II resources. Honors/AP Physics I is a pre-requisite and AP Calculus is a co-requisite for AP Physics II. Falling behind in the course can compound itself very quickly. Physics II is primarily driven by student activity and small group interaction, with minimal lecturing. Students find it very difficult to make up lost ground. Even students who have been very successful to date generally need to make adjustments to their studying approaches in order to deal with the demands of Physics II. Students will be required to take the AP Physics II exam in May. The cost is approximately $90.00. Not all schools, and not all departments, treat AP credits the same way. Some departments, particularly engineering, physics, and math departments, do not give credit and placement for AP Physics II. Some give credit but require the student to retake the course in college; some give credit and allow the student to be placed in the course following Physics II. College credit and/or placement are certainly not the only benefit or factor to be considered in deciding which AP classes to take. However, if it is important to you, you should contact the schools and departments you expect to be considering to clarify their rules.